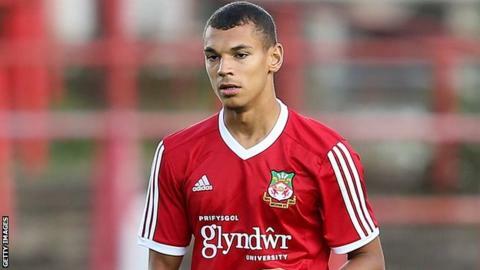 Barnsley have signed striker Kayden Jackson from National League club Wrexham on a two-year deal. Jackson, 22, scored four goals in 36 appearances last season as Wrexham finished eighth in the table. He is Barnsley's third signing for next season, ahead of their League One play-off final at Wembley on Sunday. "Kayden has pace to burn, likes to get at defenders and will fit in nicely to the way we play," caretaker boss Paul Heckingbottom told the club website. Jackson turned down a contract offer from Wrexham for next season.